Rafe is your average underpaid civil servant scientist living in Topanga Canyon, California. As long as he avoids the local bikies and their meth lab, two local petty criminals, and his landlady’s boyfriend, he should be able to study his coyote pack in peace. Yeah, doesn’t happen. When he discovers a trunk which belonged to Robert Louis Stevenson things go sideways, and he uncovers the truth about Jack the Ripper. 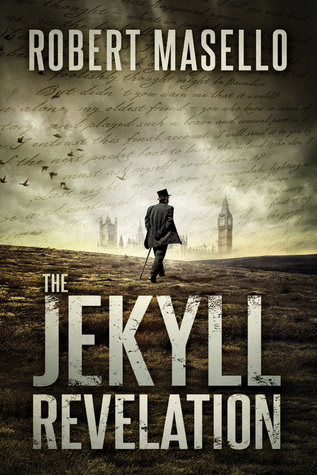 The Jekyll Revelation is an interesting novel that combines historical fiction with a modern day tale. Leveraging an intriguing factoid suggesting Robert Louis Stevenson was a person of interest in the Jack the Ripper murders – due to the play based upon his novel The Strange Case of Dr Jekyll and Mr Hyde – made this story compelling. Masello manages to emulate Stevenson’s style* for the found-diary passages interspersed between the chapters of Rafe’s modern adventures. And the twist. I thought I had figured it out early on. I was wrong. As a kid I was a fan of Robert Louis Stevenson’s, so this was an enjoyable read. I’m not normally a fan of stories that co-opt famous historical figures – unless it is done in the style of a James Rollins or Steve Berry historical McGuffin adventure – as it can feel like shoehorning. But I enjoyed the melding of two timelines to tell a tale of Jack the Ripper. It worked well, with this feeling like Stevenson’s final tale. * I’ll admit it has been decades since I read Robert Louis Stevenson’s oeuvre as a kid, so my memory of his style could be muddled. NB: I received a review copy ahead of publication in exchange for an honest review.